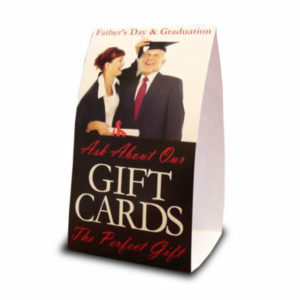 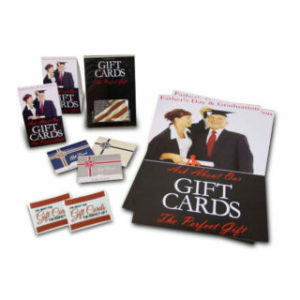 This promotional gift card kit has everything you need to promote your program for the holidays in one convenient kit! 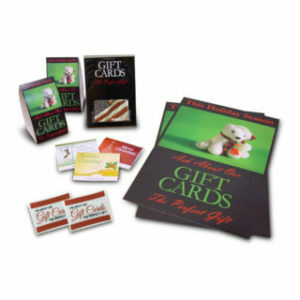 Make it easy for your customers to shop for gift cards. 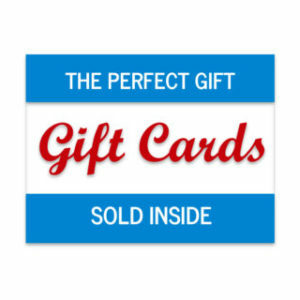 Kick off a gift card program for the holiday season! 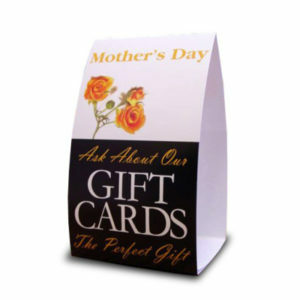 Each product is made with durable material, so you can use them year after year.